I love a good spicy cookie. 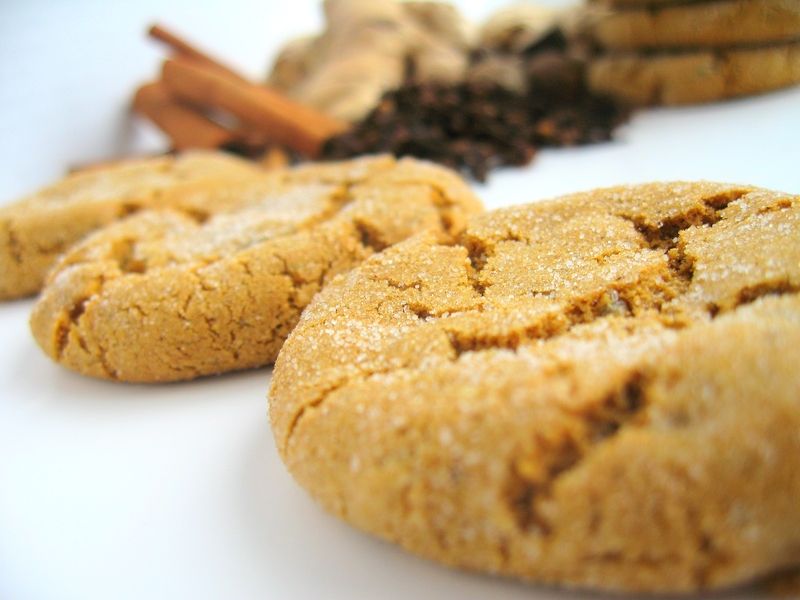 But too often the spiced cookies are relegated to the holidays. As far as I am concerned, however, they are equally good on any day of the year. These ginger cookies are hands down the best I have ever had. No lie. Crisp on the outside, chewy on the inside, the layers of spices in these cookies hit you in waves, none overpowering the others, with a distinct, almost smoky hit of molasses, and then it finishes off with the heat from the chunks of crystallized ginger. I am telling you, (to borrow a phrase from Paula Deen) they will make you sass yo’ mama! I love how they look, with that perfect, rustic crackled top, and the slight sparkle from their roll in granulated sugar before baking. These cookies are great with tea or cocoa, or, for an especially decadent summertime treat, sandwich two of these cookies together with vanilla, cinnamon, peach, or chai flavored ice cream. I mean, who wouldn’t love that? 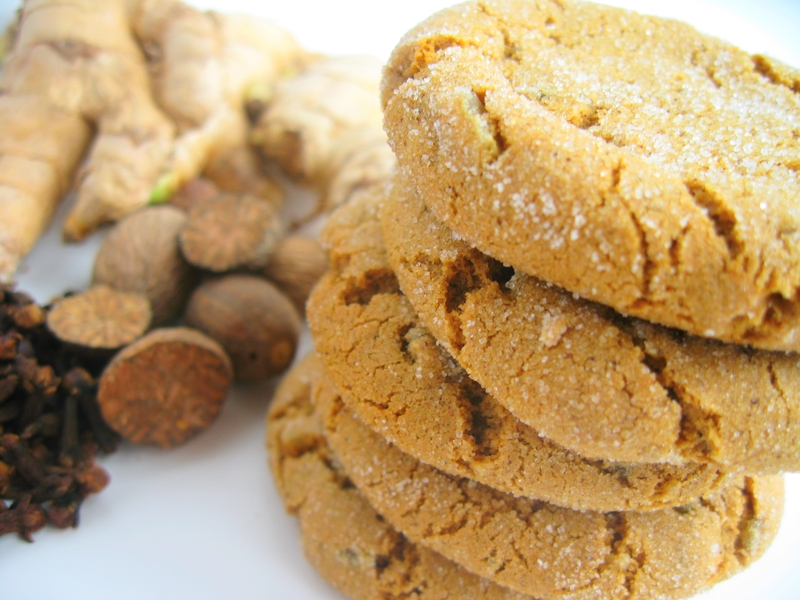 I use Ina Garten’s ultimate ginger cookie recipe with a few minor adjustments. I up the spices (adding an additional teaspoon of ground cinnamon and ground ginger, and an extra half teaspoon of both the cloves and nutmeg), I also add a healthy splash of vanilla extract in with the wet mixture, and I cut the baking time to 11 minutes (for 1.5 oz balls of dough). And as these cookies bake, the house fills with their intoxicating spicy aroma, which makes any day feel like a holiday. Enjoy! Those cookies are beauties. I make a big chewy molasses cookie that reminds me a bit of these, but yours have a more golden color than the rich brown I get from the molasses. I LOVE ginger cookies and I completely agree they should be anytime, not just holidays. These look really good and I love the chunks of ginger. YUM! 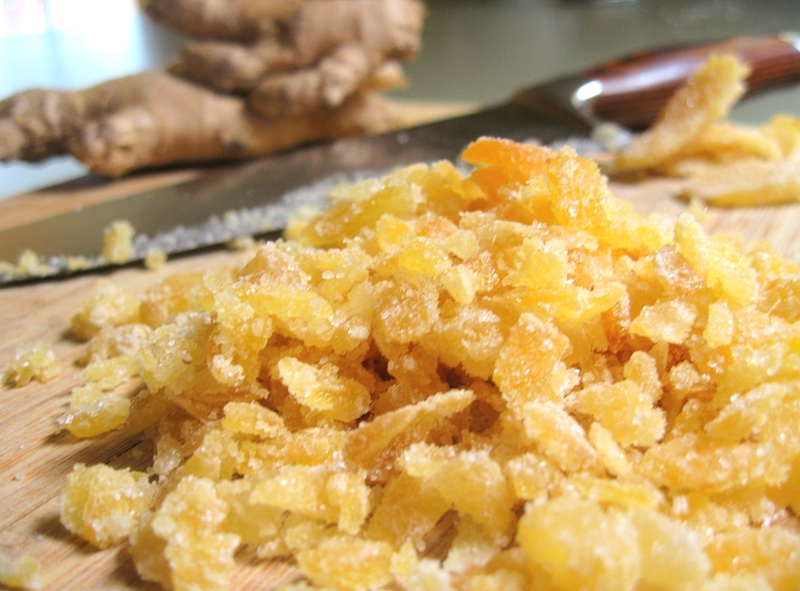 I am crazy about ginger…These look great! I love your photos… the cookies look so perfect! 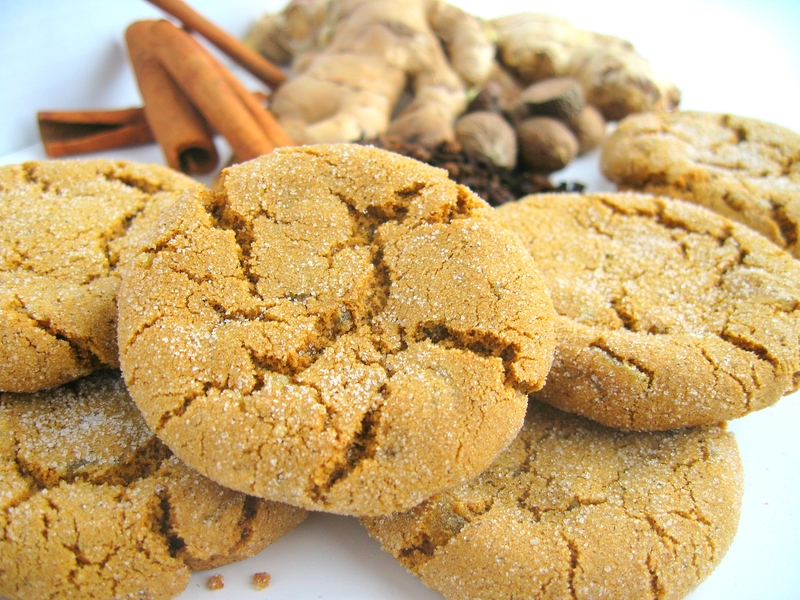 Oh yum… I love spiced cookies. Anytime, any day. these are —-with no exaggeration —- the BEST cookies i have EVER eaten. There. I’ve said it. these look beautiful, I’m also a big fan of spicy biscuits – especially ginger ones! These look delicious! Where’s the recipe though? These look AMAZING! And after that description, I MUST make them! I am also looking for the recipe… did I miss something? No, you didn’t miss anything. Way back when I posted this I was crazy and I didn’t think sharing recipes was a good thing. Luckily, I have wised up since then. These cookies are incredible. And really are best served the day that they are baked for that crisp on the outside chewey on the inside texture. But they stay soft and chewy (without that external crispness) for several days if stored in an airtight container.